Can you tell us a bit about your organisation and your role? CHEP is a global provider of supply chain solutions serving the consumer goods, fresh food, beverage, manufacturing and retail sectors in more than 60 countries. CHEP offers a wide range of logistics and operational platforms and support services that are designed to increase performance and lower risk while improving environmental sustainability. CHEP’s 12,500 employees and approximately 300 million reusable platforms (pallets and containers) deliver comprehensive coverage and exceptional value, supporting more than 500,000 customer touch-points for global brands. My role is the one of an Human Resources Business Partner for EMEA, supported by six regional HR Business Partners. A critical area of my job is to ensure that we have the right people and the supporting work environment to make our business strategy happen. Why is diversity, and specifically the advancement of women, so important to your organisation? Diversity and Inclusion is one of the cornerstones of our business and a key aspect of this is the advancement of women. It has been proven time and time again that a diverse leadership brings innovative thinking which is the only way a company can grow and thrive tackling future business challenges. Which diversity initiatives do you have in your organisation? We have already made great strides in this area moving from 100% male EMEA leadership team to the appointment of two female members in the last 18 months. We have found this has led to a knock on effect through the business for example the UK Executive Team now has a 40/60 gender split. We ran unconscious bias trainings with all our Leaders throughout the Region and as well utilising the LEAD Network Partnership in the development of our people. 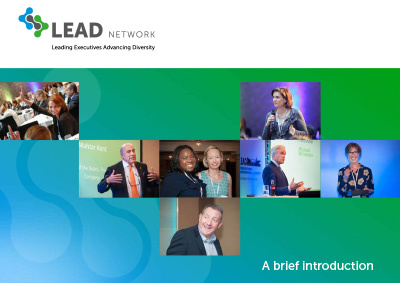 What role does LEAD Network play in reaching your organisation’s diversity goals? The LEAD Network and CHEP partnering is a natural fit, we are working towards the same goal of advancing women in the retail, FMCG and supply chain industries. We benefit from the networking opportunities as well as best in class research. What would you like your employees to take away from the LEAD Network? 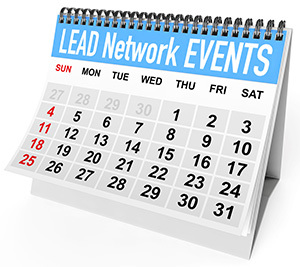 To participate fully in the local LEAD Chapters to get the best from the LEAD Network, develop from joining the Committees and to share the LEAD Network message across our business.